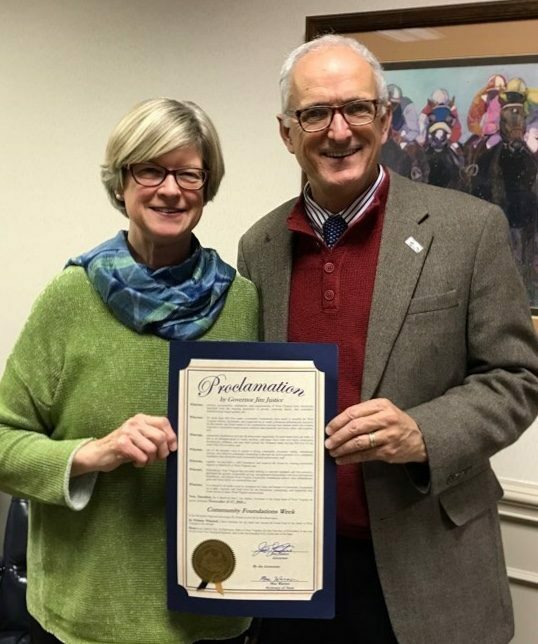 The Eastern West Virginia Community Foundation was one of more than 800 community foundations across America that celebrated Community Foundation Week, November 12-18, 2018. For 29 years, the effort has raised awareness about the increasingly important role of these philanthropic organizations in fostering local collaboration and innovation to address persistent civic and economic challenges. In late November, the Foundation will award more than $37,000 in Mini Grants to Teachers from Berkeley, Jefferson and Morgan counties. At the same time, EWVCF is accepting grant applications from 501(C)(3) nonprofit organizations for a wide variety of charitable programs, ranging from healthcare to education; human welfare to youth programs; and housing to historic cemeteries. Through an innovative collaboration between schools, businesses and charitable organizations, in 2019 EWVCF will provide high school seniors in the Berkeley County Leadership Academy with the opportunity to recommend a grant to a nonprofit organization serving the Eastern Panhandle. Community Foundation President Lisa Welch, Investment Committee Chairman Scott Roach, Past President Darlene Truman, and Vice President Bill White display a commemorative check that represents competitive grants awarded to Eastern Panhandle nonprofits in 2018. Deadline to apply for the 2019 competitive grants in Youth, Education, Healthcare, Housing, Human Welfare and Historic Jefferson County Cemeteries is December 10th. 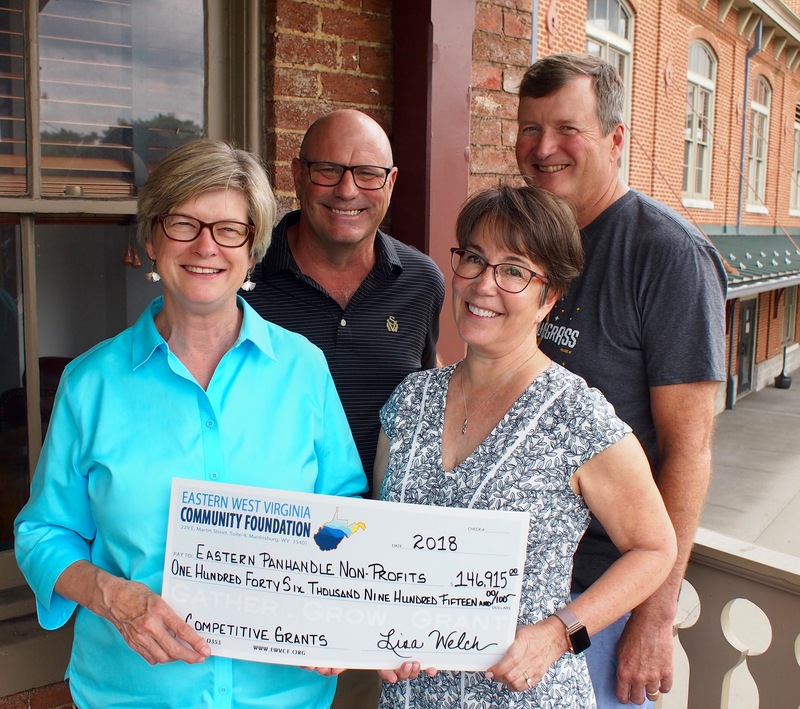 The Eastern West Virginia Community Foundation is a local, independent, public 501(c)(3) nonprofit organization that directs tax-exempt gifts from donors to endowed funds to support favorite charitable causes in the region. Founded in 1995, EWVCF awards nearly $1 million in grants and scholarships annually, and provides financial stewardship for $25 million held in 230 endowment funds. Community foundations represent one of the fastest-growing forms of philanthropy. Every state in the US is home to at least one community foundation—large and small, urban and rural—working to advance solutions on a wide range of social issues locally and globally. Community Foundation Week, created in 1989 by former president George H.W. Bush, recognizes the work of community foundations throughout America, and their collaborative approach to working with the public, private, and nonprofit sectors to address community problems. West Virginia has over 25 Community Foundations, which support everything from social services to youth programs, historic preservation to the environment, and education to animal advocacy. For more information about the Eastern West Virginia Community contact Executive Director Michael Whalton at (304) 264-0353 or visit www.EWVCF.org.